From a farm in Fillmore, IL to filling clubs with “Funky Glitchy Wubby Dubby Bass Music”, Filibusta has led quite the life so far. With 400,000+ plays from 60+ countries on Spotify in 2018, Filibusta is the definition of an emerging artist. Filibusta is the brainchild of Troy Probst, a self-described “Farm Boy” who frequently performs in and around the Midwest. The music is funky and the message is simple, “Let’s go on an adventure together.” His albums “What’s Trappenin’”, “Set Lasers to Funk, Vol. 1 and Vol.2” are fan favorites on SoundCloud and other streaming services. “Samba Bom, is your Brazilian cultural connection in the Midwest-USA” states Moacyr “Mo” Marchini, and boy can the band back that statement up! Their performances are filled with beautiful music, colorful dress, and rhythmic dancing. 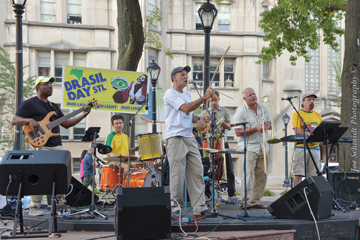 Samba, Bossa Nova, Brazilian Jazz, and many more distinct styles of music all under the direction of “Mo” Marchini, a native of Brazil who has been filling St. Louis with Brazilian music and dance for 20+ years. 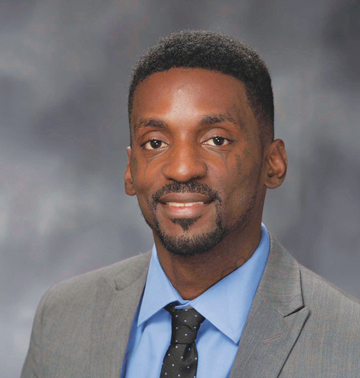 Rep. Bruce Franks Jr. wears many hats in his beloved city of St. Louis. He’s a dedicated father to 7 children, a small business owner, a representative in the Missouri House of Representatives of the 78th district, a street activist, and a battle rapper. Going by the stage name “Ooops!” Rep. Franks has nearly 2 million views on his many rap battles. The intensity and lyricism Rep. Franks brings to the microphone on the hip hop stage is matched by his intensity and commentary as a State Representative of MO. A man all about the community, Rep. Franks started the “28 to Life” organization and was named by BET Network as one of the “Great 28” civil rights leaders in the United States. Hear one of your State Representative spit fire on versetracker.com/rapper/ooops. The Driftaways – Mid-West Reggae Mon!